Only you can stop nuclear war. But do you have what it takes? It was with equal parts excitement and trepidation that I signed up to tackle Sabotage – one of the rooms at Breakout Cardiff, situated in the Brewery Quarter near Central station. I’d been told by the staff that they have the Sabotage game at their Manchester and Liverpool venues too, and the overall success rate was about 20%. So I did the only thing I could – I called on my Dungeons & Dragons group to help me beat what I’d been told was a fiendishly difficult escape room. The premise is like something out of WarGames. You’ve infiltrated a missile base and you have 60 minutes to deactivate the launch and get out. The alternative is total nuclear annihilation. And you don’t want that, do you? From the moment we stepped into the room, we were sold. The room build was excellent, and in keeping with a solid theme that remained consistent throughout the game. Although the narrative states we’re in a missile silo, Breakout have done well to work with their space – this was the staff room within said silo. Of the rooms I’ve played so far, this one was the most decorated in terms of props. As soon as we started the game, half of our team had found some fatigues that we immediately put on (which we almost forgot to put back at the end of the game). Word of advice – if you see a hat in an escape room, wear it. It won’t help you escape, but you’ll damn well feel the part. There was plenty for us to get stuck into without throwing around too many red herrings – a good balance of decoration and necessary props. The puzzles were a mixture of searching, riddle-solving and lateral-thinking, with plenty of padlock/combination locks to boot. There was also a nice use of tech in this room that I’ve yet to see in any of the rooms I’ve done so far. It worked well with the theme and added an extra element of difficulty to the puzzles. I can definitely see why Sabotage has a 20% success rate. If it weren’t for the efforts of the rest of the team (especially Harry’s quick riddle-solving skills), we may not have escaped. But escape we did, and with 6 minutes to spare. There’s quite a satisfying payoff for those that manage to escape in time that makes you feel that little bit extra badass. You’ll know it when you see it. The clue system gave us cryptic hints when the game masters thought we were struggling, but would give us a more substantial clue if we asked for a hint (by waving our arms at the camera). I really enjoyed Sabotage. It was challenging without being too overwhelming. It had lots going on but wasn’t too cluttered. And it gave you that feeling that you saw in others while watching shows like The Crystal Maze and Finders Keepers. I highly recommend you give Sabotage a go. You shan’t be disappointed. If you’re not familiar with escape rooms, it might be worth giving their easier room, Classified, a go first. 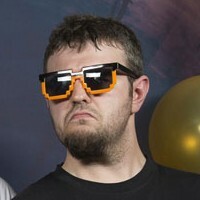 Sabotage is suitable for teams between two and five people. Bookings start from £12 per person. 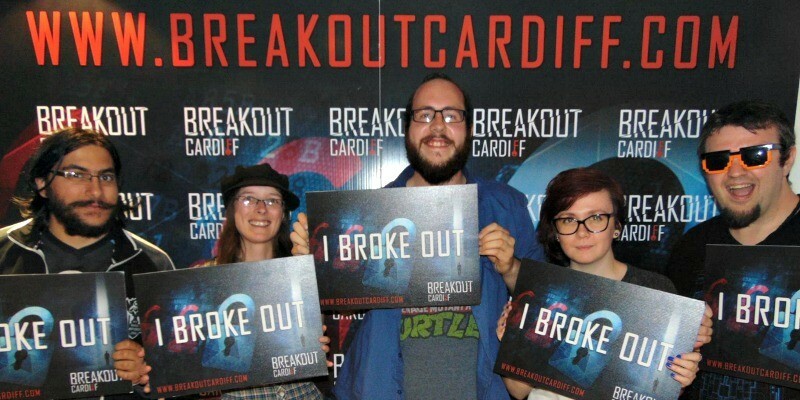 You can get more info over at Breakout Cardiff. Have you played Sabotage?What were your thoughts? Let me know in the comments!